One of the worst kept secrets in the motorcycling world has finally been confirmed and will be answered later this month: Triumph is updating its iconic Bonneville motorcycle. A video appeared on Triumph's YouTube channel recently promising that "something big" is coming October 28th. 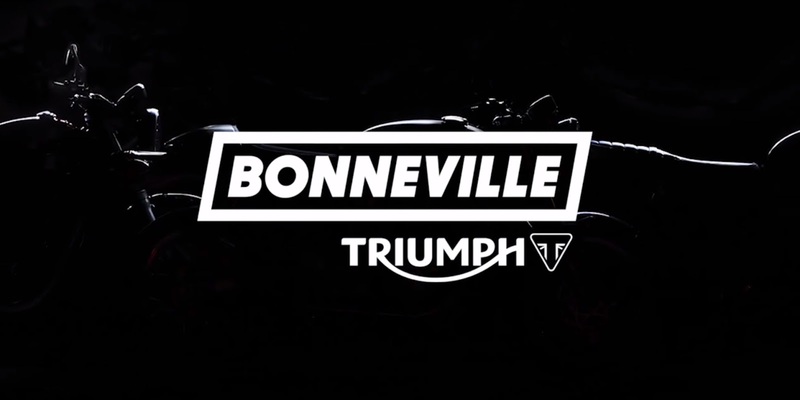 The video consists primarily of images and pictures of various Bonneville motorcycles dating back to the 1960s and finishes with a backlit shot of three new models. The news comes as no surprise to Bonnie fans, who will have been seeing various spy shots of potentially new models since as early as late 2012. The clearest such spy shots materialized earlier this year and suggest at least four new models are coming our way: an upgraded "basic" Bonneville, a new T100, a new Thruxton and some kind of as-yet-named bobber. It appears at least one of the new models will be upgraded to carry a larger engine -- suspected to be around 1100 cc. Most likely Triumph will seek to use that version to compete against the success of BMW's wildly popular RnineT. The Bonneville is an incredibly important bike in motorcycling and many would say it has played a vital role in the motorcycling renaissance of the past few years, helping to draw new riders with its blend of modern technology and classic style. Both those aspects will be pushed with e new Bonneville range. All of the new bikes will have water-cooled engines and anti-lock brakes, keeping the bikes in line with forthcoming European Union emissions and safety regulations. Meanwhile, styling of the new Bonneville will be even more faithful to the 1960s original. So far no spy shots have surfaced of a new Triumph Scrambler but it seems likely that model, too, will receive a full makeover to help it compete against both the Ducati Scrambler and the rumored forthcoming BMW scrambler. Additionally, it's suspected that the Triumph America and Triumph Speedmaster cruisers will either be updated or scrapped. Both bikes currently house the Bonneville engine.